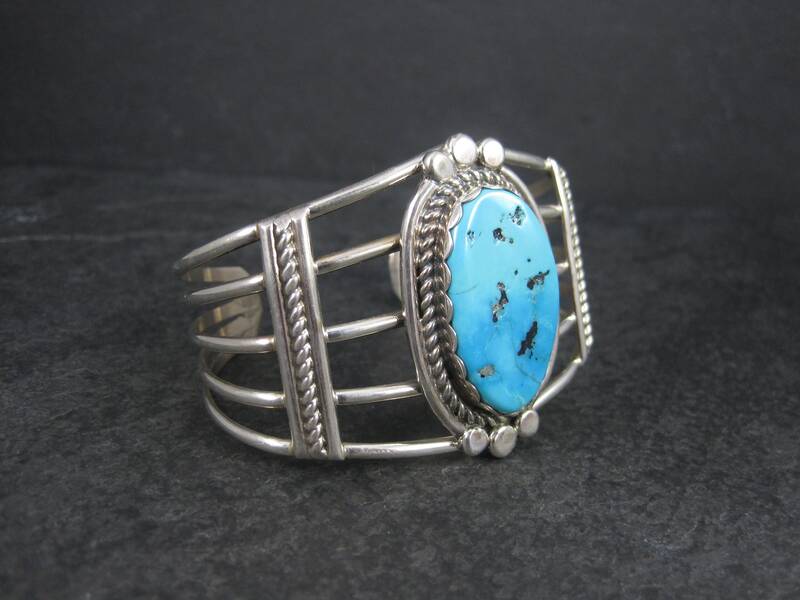 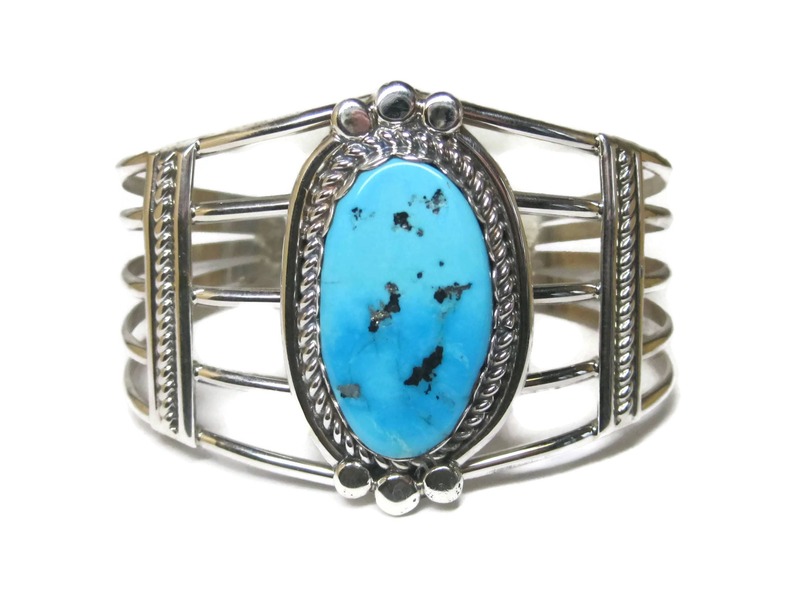 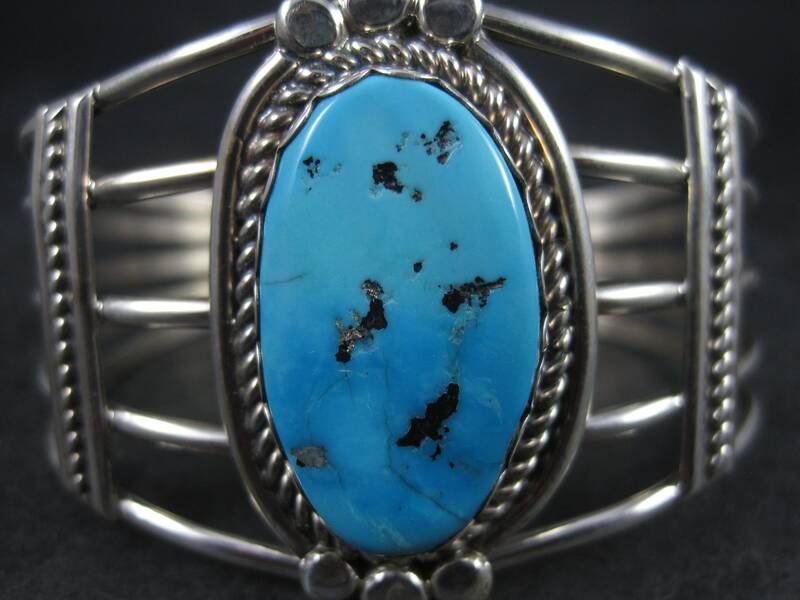 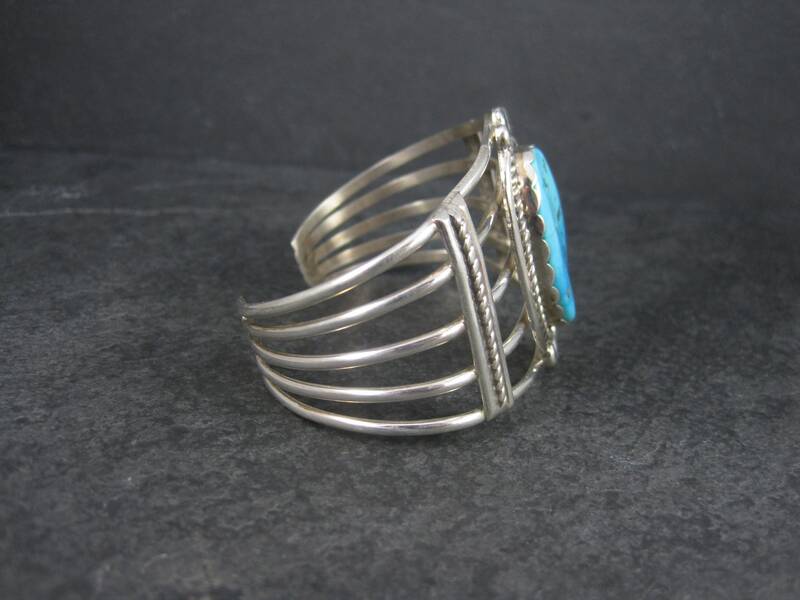 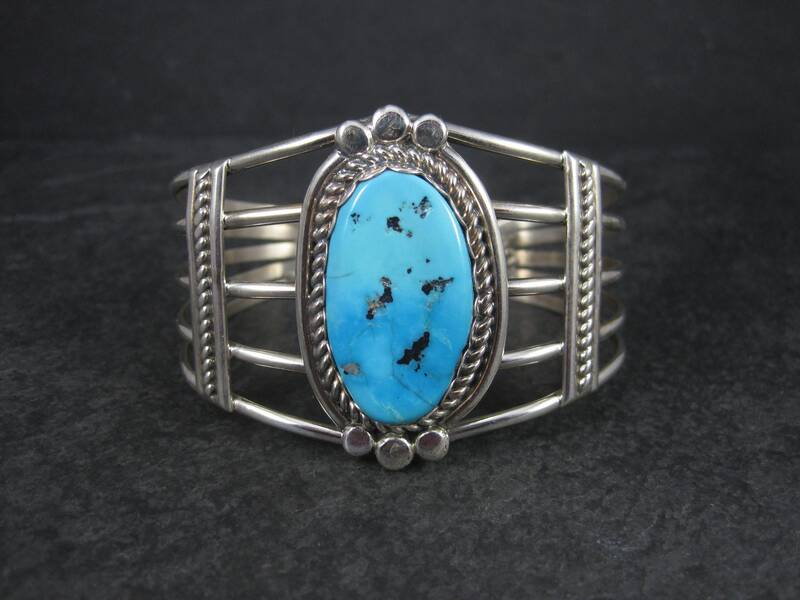 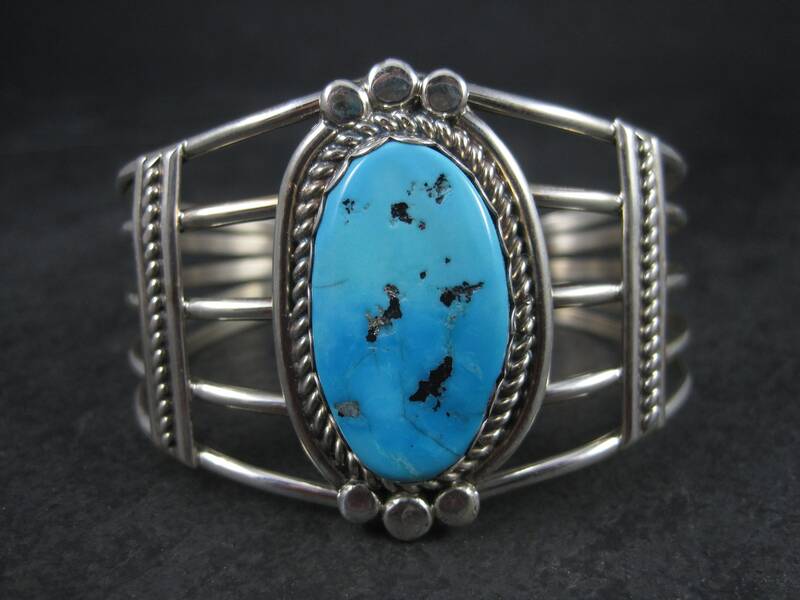 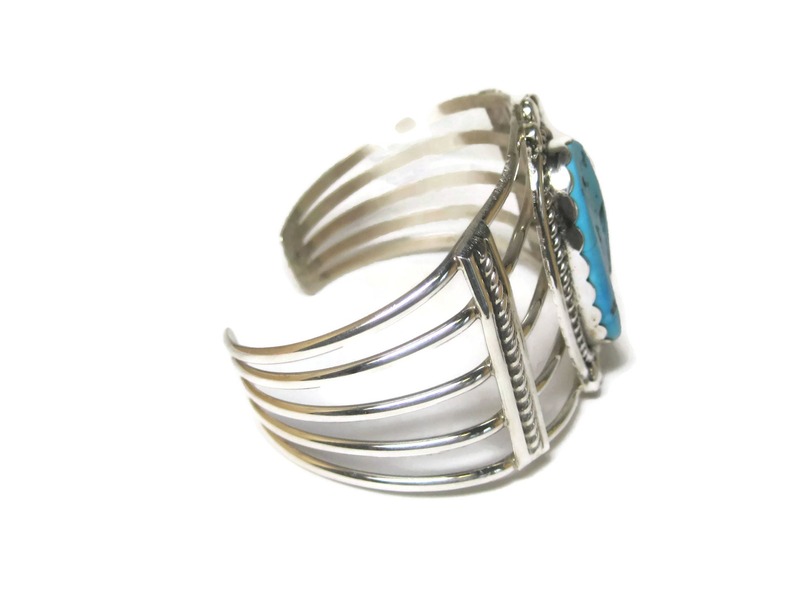 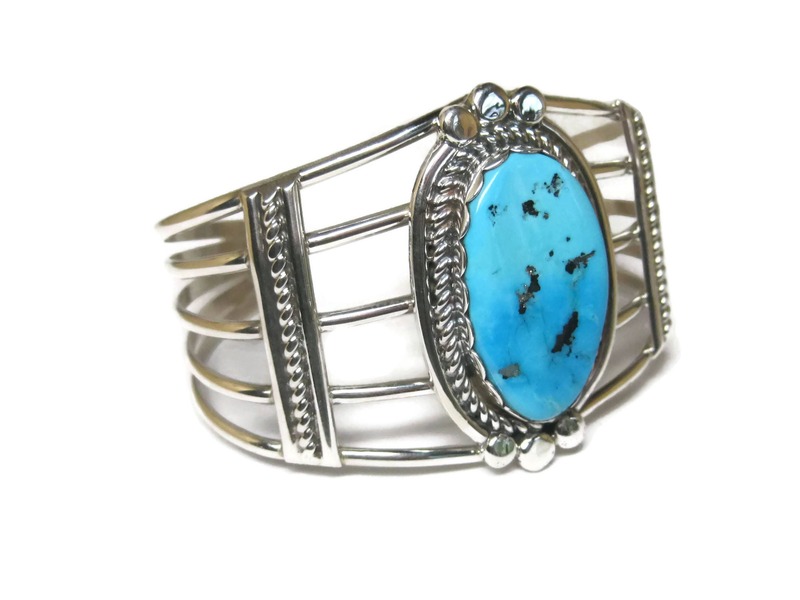 It features a natural 17x29mm turquoise. 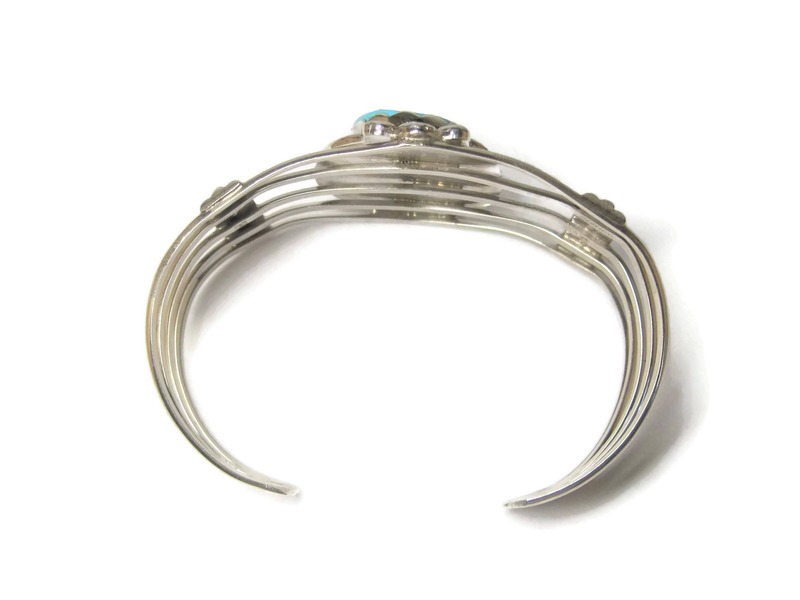 The face of this bracelet measures 1 11/16 inches at its widest point. 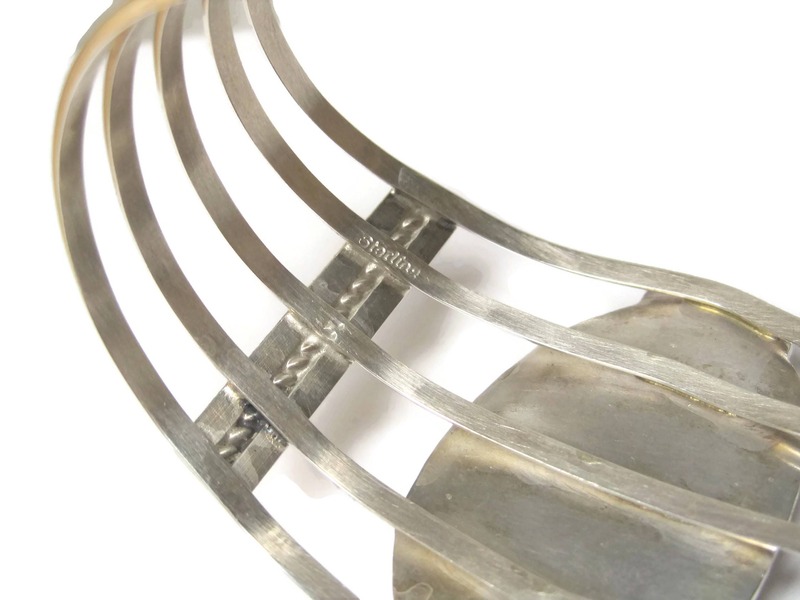 It has an inner circumference of 6 1/2 inches, including the 1 inch gap.